In a very special Behind The Brush, we chat with the man behind the Goby x Will Bryant collaboration – Will Bryant! Read on to find how he approaches his work, who gave his Goby design the official seal of approval, and his not-so-fun party trick. Tell us a bit about yourself and how you came to be a creative full-time? I grew up in east Texas playing sports, trying to standout while trying to fit in, and occasionally making stuff. I attended Mississippi State for a BFA in graphic design and then Portland State University for my MFA in contemporary art. For the past 10 years I’ve worked full time as a commercial artist. I’ve tried to position myself as an artist for hire that is fun, approachable, and easy to work with. I often collaborate with brands on promotional projects, mural installations, events, apparel design, editorial illustration, packaging design, visual identities, and also have strong desire to make more gallery work. The work is exuberant, slightly irreverent at times, struggles to be critical, and 95% of time is wacky/goofy/playful. My career as a full-time creative was not necessarily by design, but developed organically over time. One project leading to the next in addition to my wife being extremely supportive along the way. What’s your design process for your own work? My process varies based on the project, but most often I start with research, experiment/explore, revise/refine, and then respond. From there, it all depends on how that part goes. It could involve starting over. Ha. Any memorable personal connection or history with your teeth, good or not so good? Diligent brush and flosser, mischievous habits as a child, etc? In addition to the awkward childhood braces memories, I experienced major trauma to my gums and have two fake front teeth. So if teeth come up, I immediately think of blacking out during a workout, slamming face first onto concrete, and shattering two teeth. Then for the next two years dealing with so many dental visits and removing a clear retainer with acrylic teeth for every meal. I wore a lot of shirts with front pockets to hold my teeth. It made for a decent party trick, but it really wasn’t very fun. What was your first reaction when Goby approached you about designing a brush? I was genuinely excited to work on a product that I had never collaborated on. The toothbrush is such a common, everyday thing, so having the opportunity to put my personality and style on something so useful is interesting to me. How did you approach designing your Goby brush? I wanted to make something that was colorful, but simple. I also hoped that my 4 year old daughter would recognize who made it. I showed her a photo of the sample and she couldn’t believe it! What’s next for Will Bryant? My son will be born sometime this week (!!!!). I have a few mural projects on the calendar, several paintings in the works, and the bar/restaurant (Last Straw in east Austin) I’m involved with is always keeping me busy. 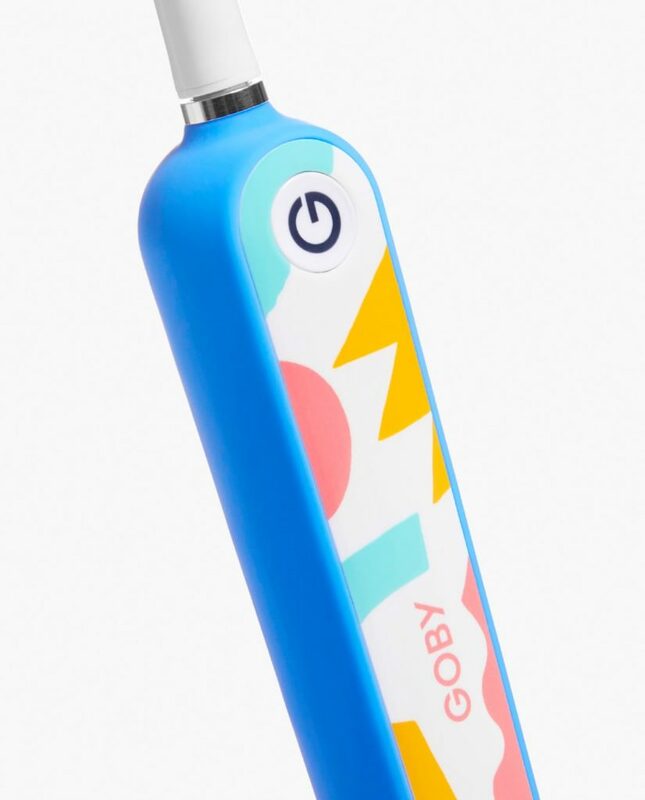 Shop the Goby x Will Bryant Artist Edition Brush Kit for a limited time, while supplies last.